Safety procedures are always important in major hazardous facilities. This ensures that the personnel employed to work in the facility will have continued safety if rules are followed properly. 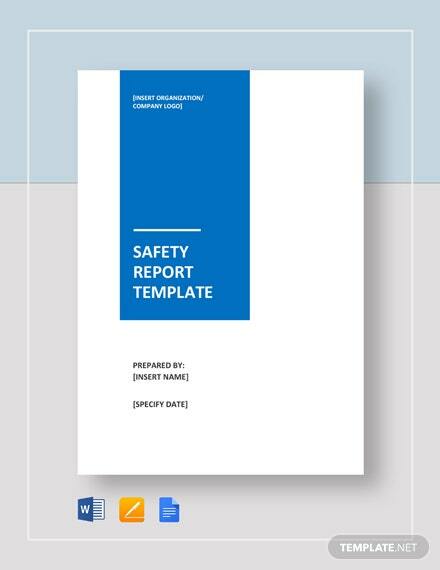 A document that is prepared by the management with the employees’ consultation with regard to these procedures is a safety report template. 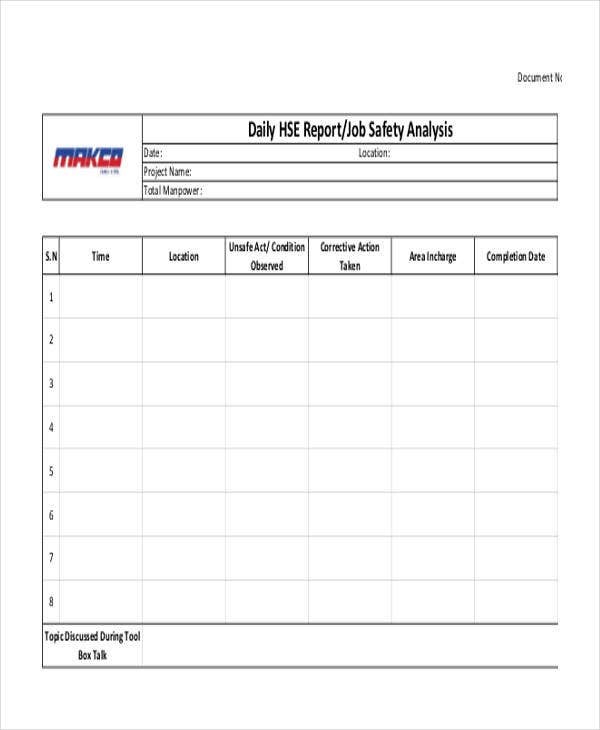 A Safety Report Format shows information on a major hazardous facility’s safety operations starting from the studies being made, the results of the study and the management’s actions for the safety of the facility as well as the employees. 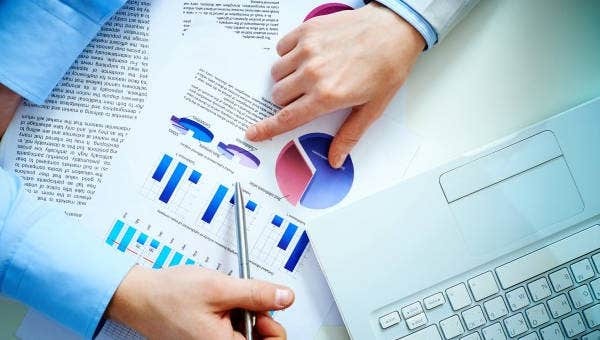 This is made as a Monthly or an Annual Report, depending on the policies of the entity. Safety report philosophy. This explains the major procedures in ensuring the safety of the facility and the risks being considered. State the methods of safety. 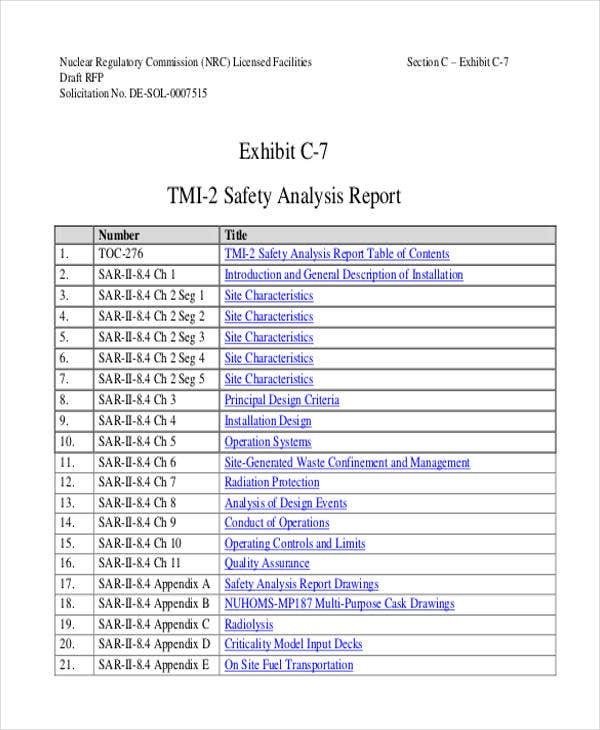 Methods that reflect the safety philosophy are explained in this section of the report. These methods are expected to be implemented in the facility. Safety program. This part discusses information with regards to the actions being undertaken and how they are being incorporated with each other. Consultation with employees and representatives. This section explains how the consultation process will happen and how it will be integrated on the report. Emergency plan. 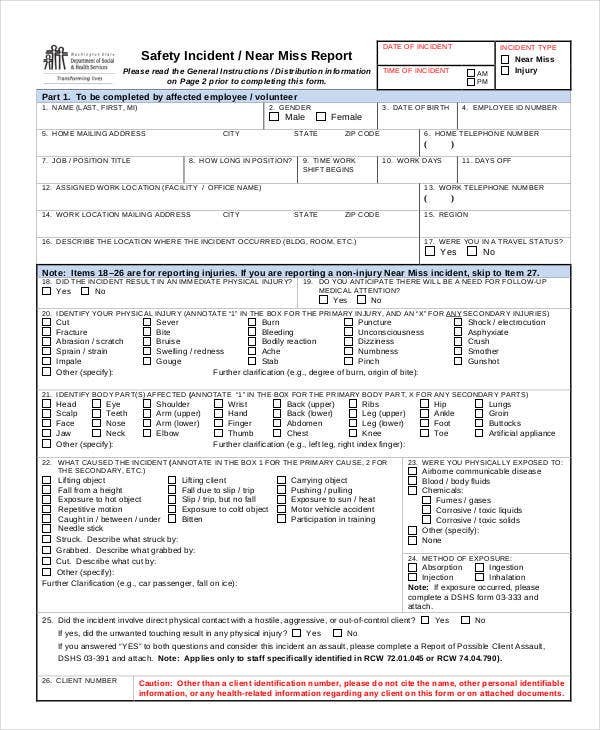 A copy of the emergency plan should be provided on the report as part of the requirements. Consistency with the laws. 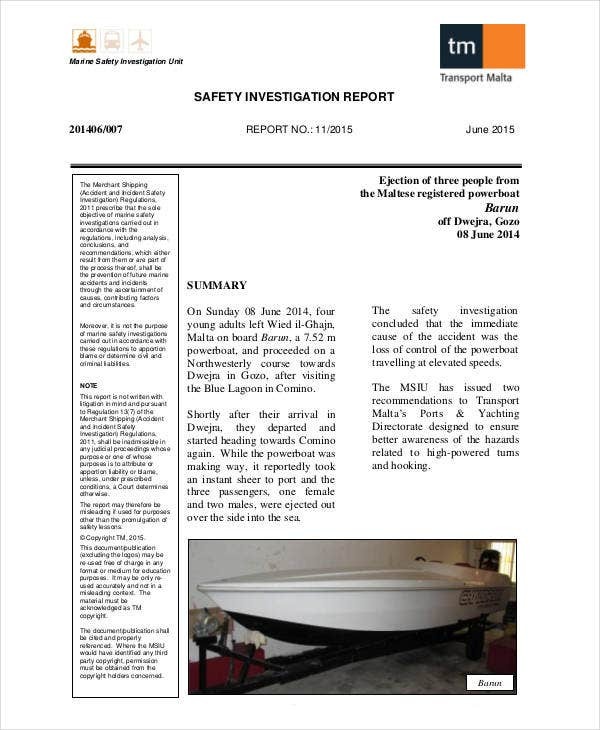 There are specified information required by law that should included in the safety report. 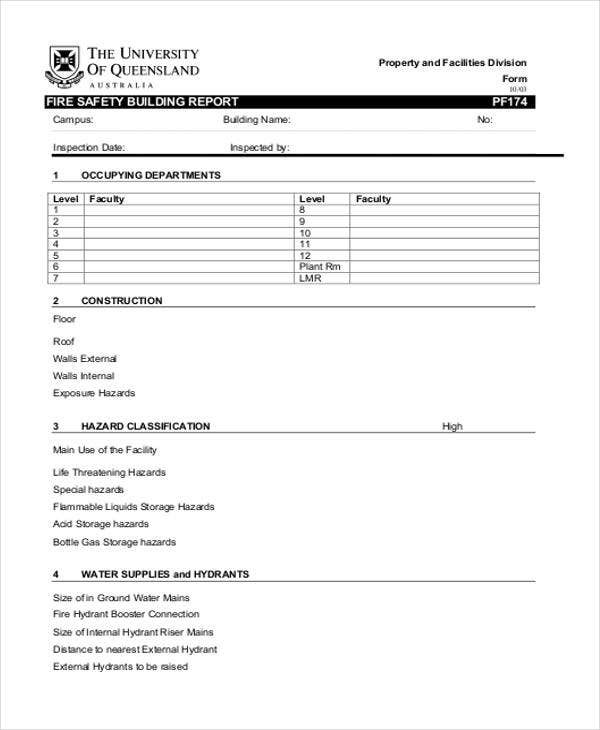 These include the description of the hazards and the corresponding risk assessment carried out by the company. Plan objectives and procedures. This involves incorporation of the needed precautions in the company’s operations with regard to the hazards and risks faced by the employees at the facility. 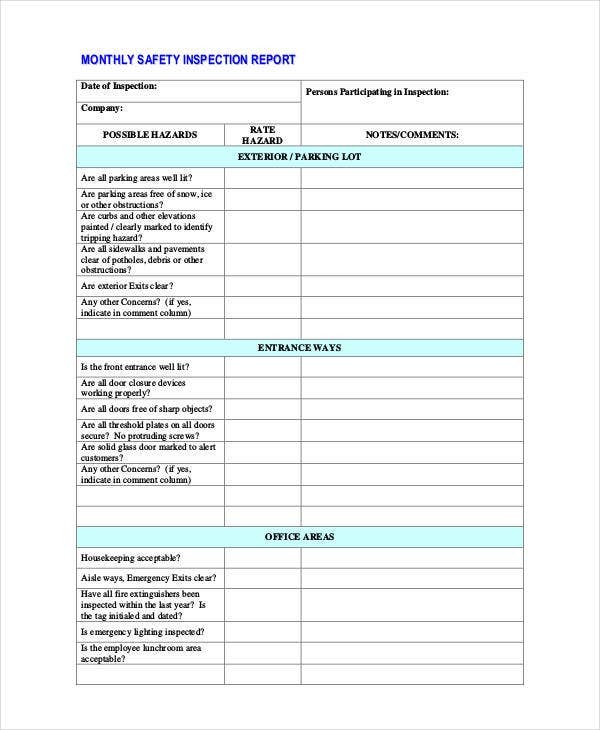 Consult with employees and different representatives. 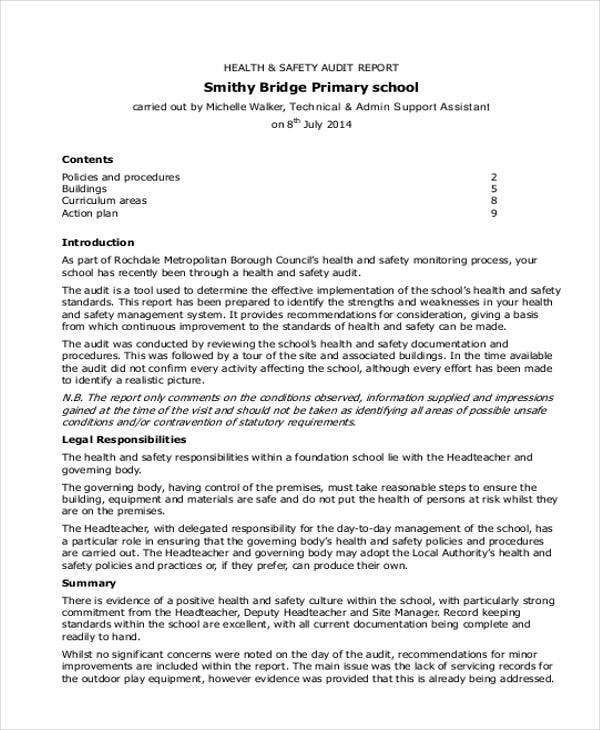 It is important to get information from health and safety representatives to have ideas on the proper safety procedures. 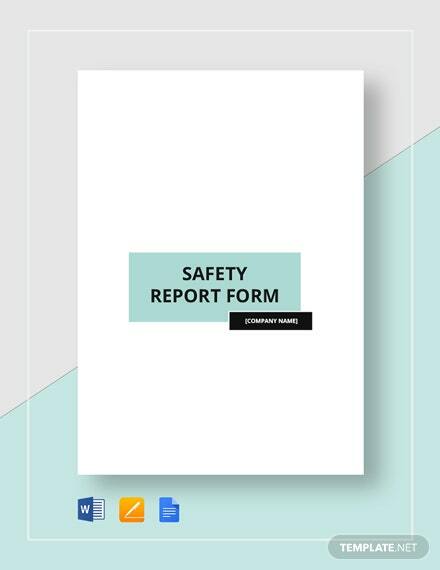 Aside from that, employees’ participation in the safety report will let you know their concerns and suggestions with regard to safety and health matters at the facility. Active monitoring. 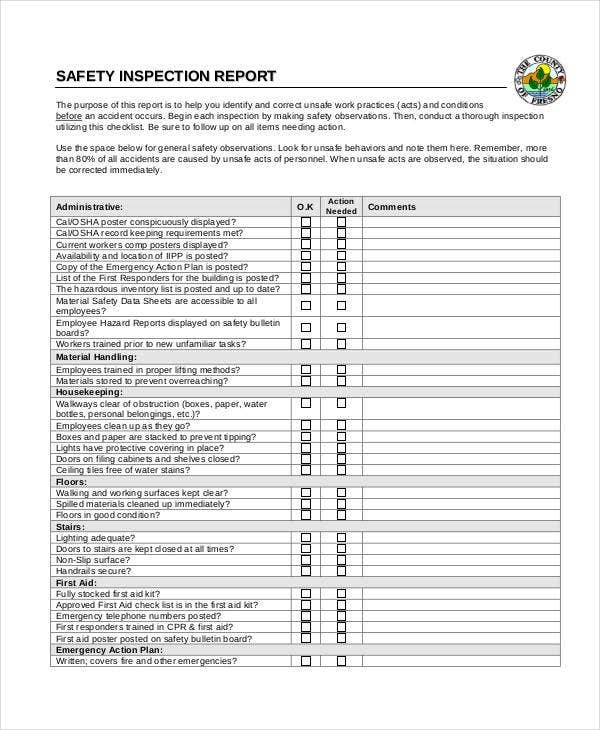 Inspections should be made to check if the safety standards are followed and maintained. Reactive monitoring. Investigations of cases like injury and property damaged should be made to know what went wrong and what standards are overlooked or are in need of change. 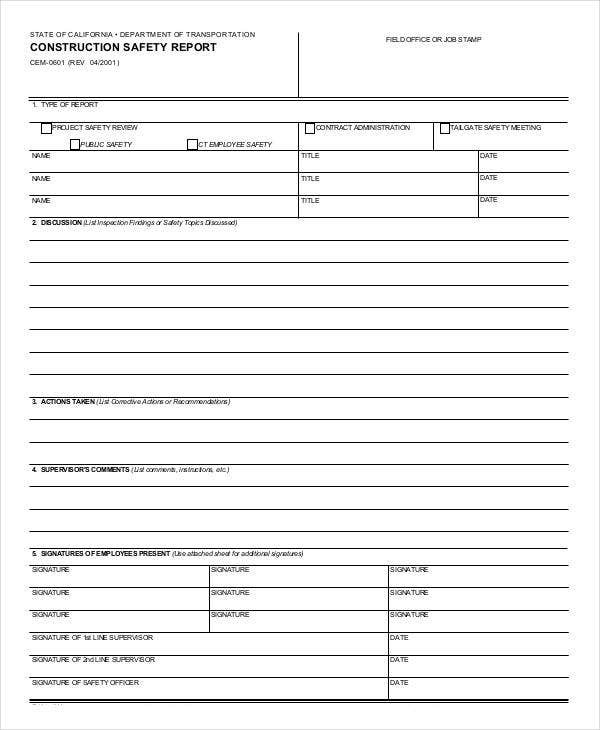 Incident Report Templates come in handy in this procedure. 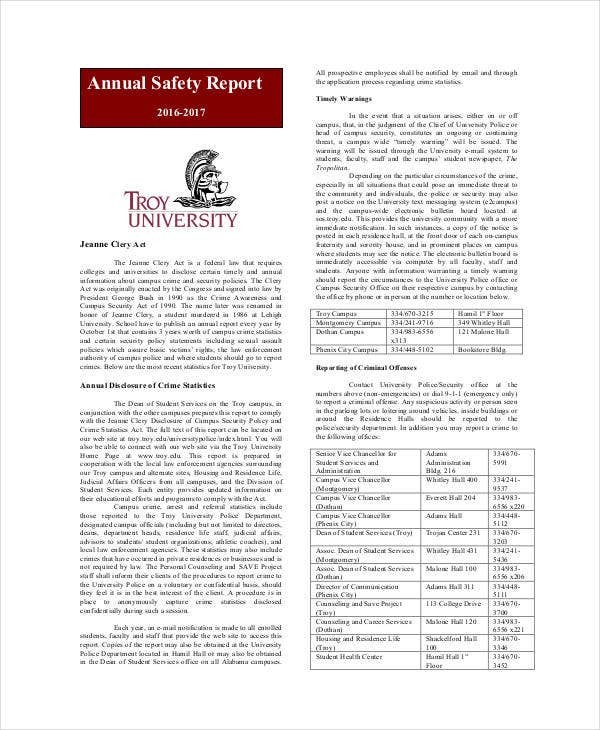 Review safety report. 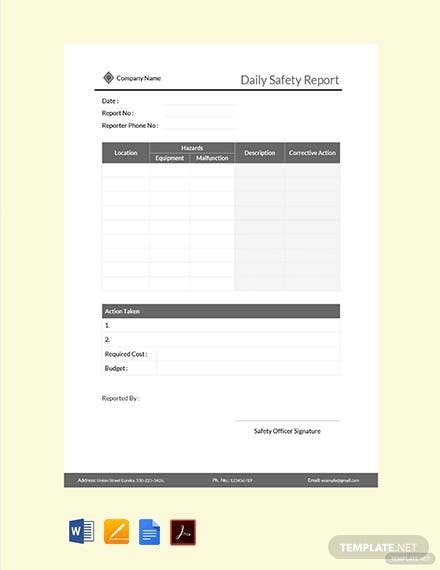 Safety reports should be updated periodically to make the report relevant at all times and cater to the changes in the company’s structure or activities. 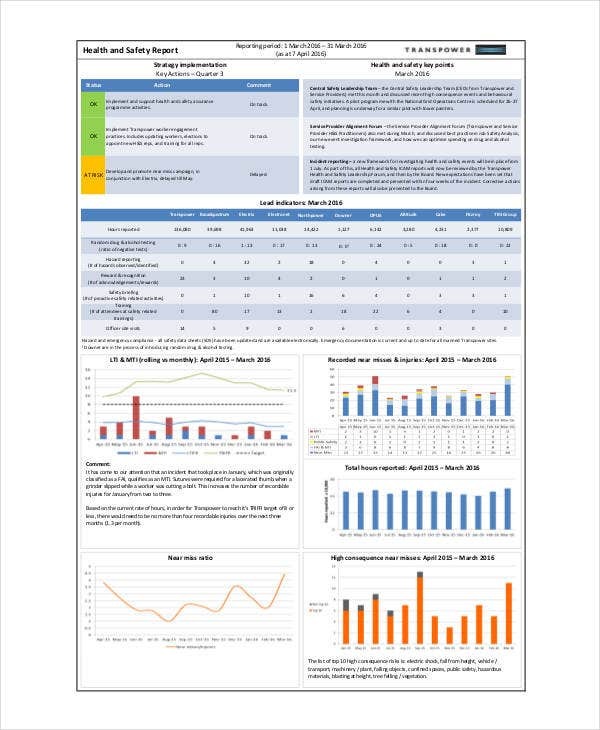 Because of financial, legal, and moral reasons, the implementation of safety management systems in an entity is a must to ensure the safety and health of the stakeholders of the company especially those directly involved—the employees. It should be given much importance and should not be overlooked to incur minimal accidents and ill-health in the company.